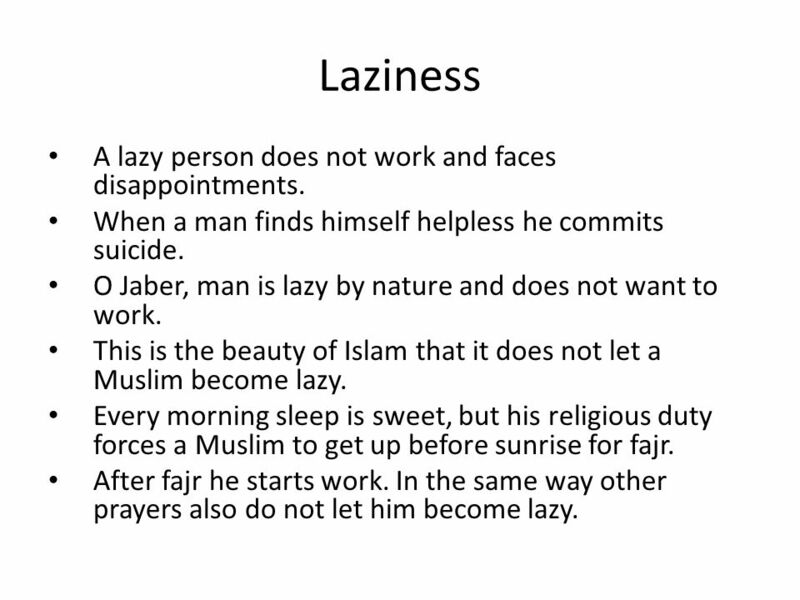 4 Laziness A lazy person does not work and faces disappointments. 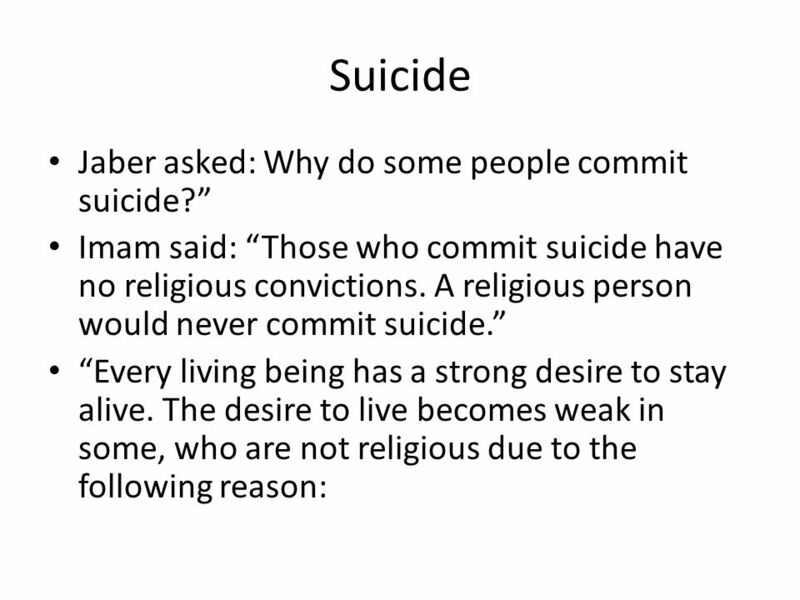 When a man finds himself helpless he commits suicide. O Jaber, man is lazy by nature and does not want to work. This is the beauty of Islam that it does not let a Muslim become lazy. Every morning sleep is sweet, but his religious duty forces a Muslim to get up before sunrise for fajr. After fajr he starts work. In the same way other prayers also do not let him become lazy. 5 Gambling When a man loses his fortune in a short period of time, he becomes desperate and commits suicide. 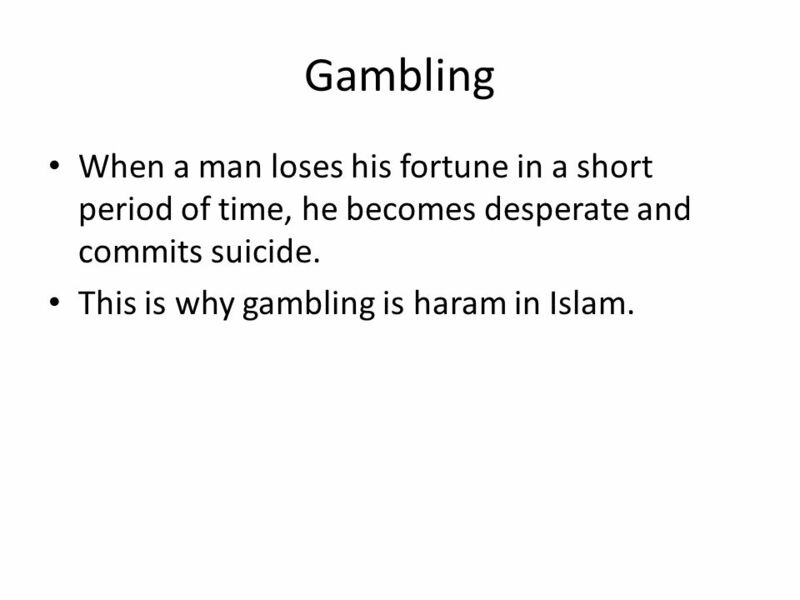 This is why gambling is haram in Islam. 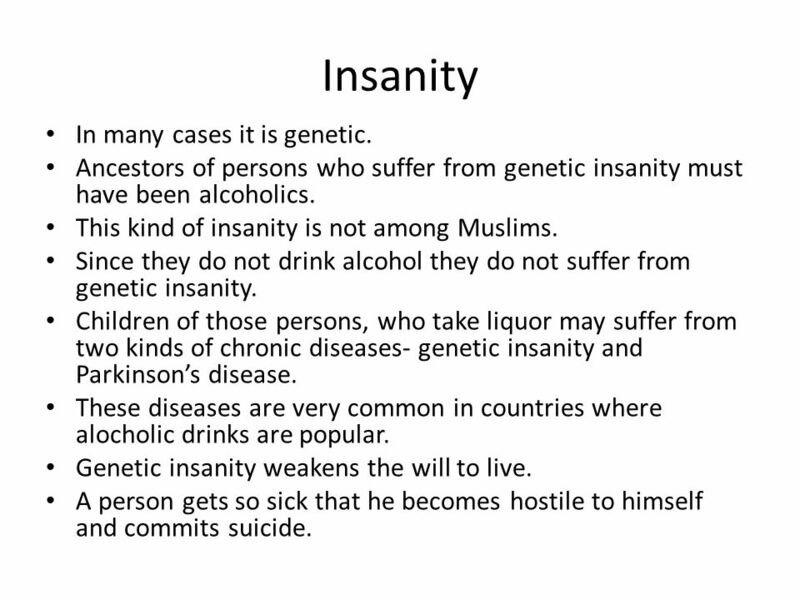 6 Insanity In many cases it is genetic. Ancestors of persons who suffer from genetic insanity must have been alcoholics. This kind of insanity is not among Muslims. Since they do not drink alcohol they do not suffer from genetic insanity. Children of those persons, who take liquor may suffer from two kinds of chronic diseases- genetic insanity and Parkinson’s disease. These diseases are very common in countries where alocholic drinks are popular. Genetic insanity weakens the will to live. A person gets so sick that he becomes hostile to himself and commits suicide. 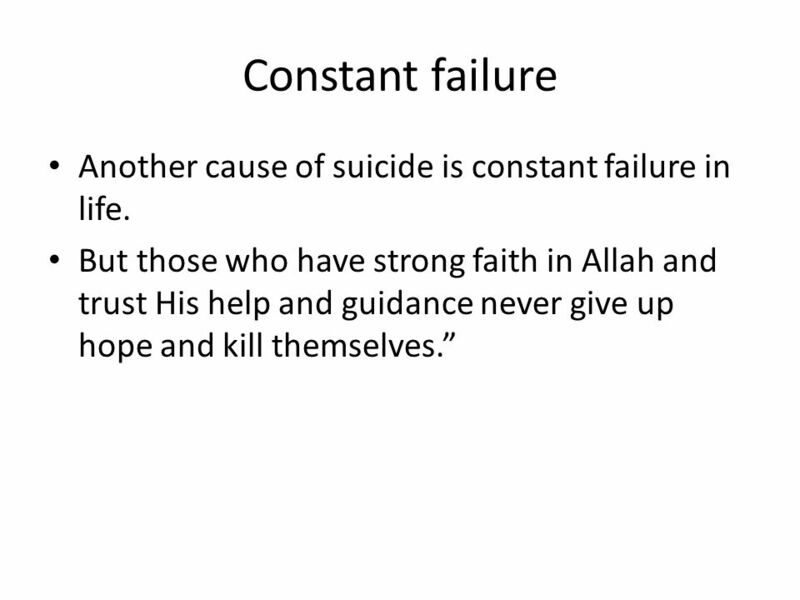 7 Constant failure Another cause of suicide is constant failure in life. 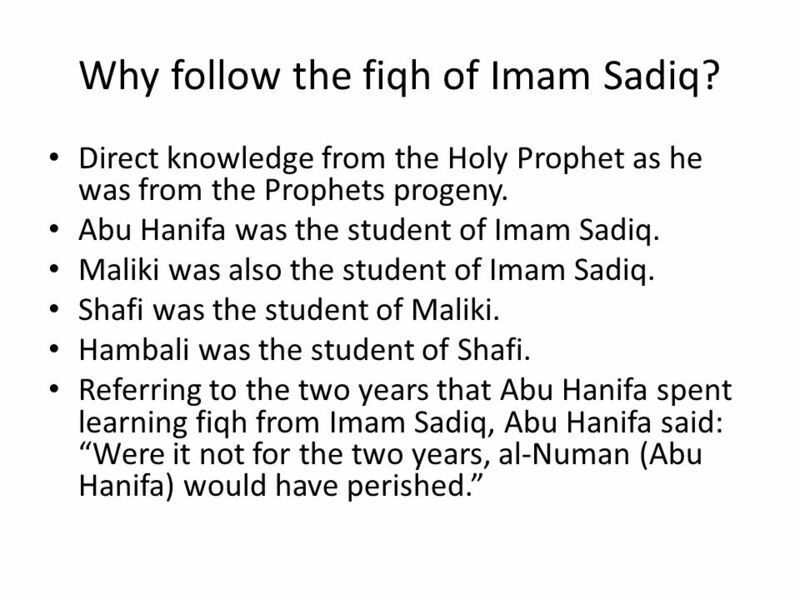 8 Why follow the fiqh of Imam Sadiq? 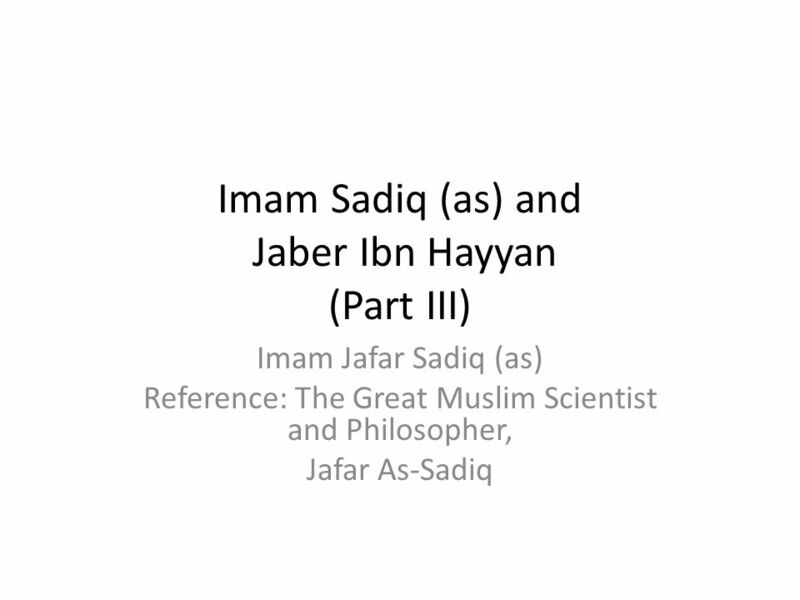 Download ppt "Imam Sadiq (as) and Jaber Ibn Hayyan (Part III)"
Vocabulary List #2: Islam All Classes 1.Caravan 2.Oasis 3.Prophet 4.Muslim 5.Monotheism 6.Polytheism 7.Boycott 8.Imam 9.Pilgrimage 10.Quran 11.nomad Honors. Hamza and Omar. The Muslims were facing hard times in Mecca. A turning point in the history of Islam came when Hamza and 'Umar embraced Islam. Both men. The prince of Mecca Al Hareth Ibn Khatab (blessing upon him) gave a speech during the last week of Ramadan. After he ended the speech he said: our prophet. FUZTU BI RABBIL KA’ABA. FUZTU BI RABBIL KA’ABA. Sacrifice A Very Common Ritual in All Beliefs. Overview What is Sacrifice? Sacrifice in Primitive Tribes Sacrifice in Three Abrahamic Religions –Who is. 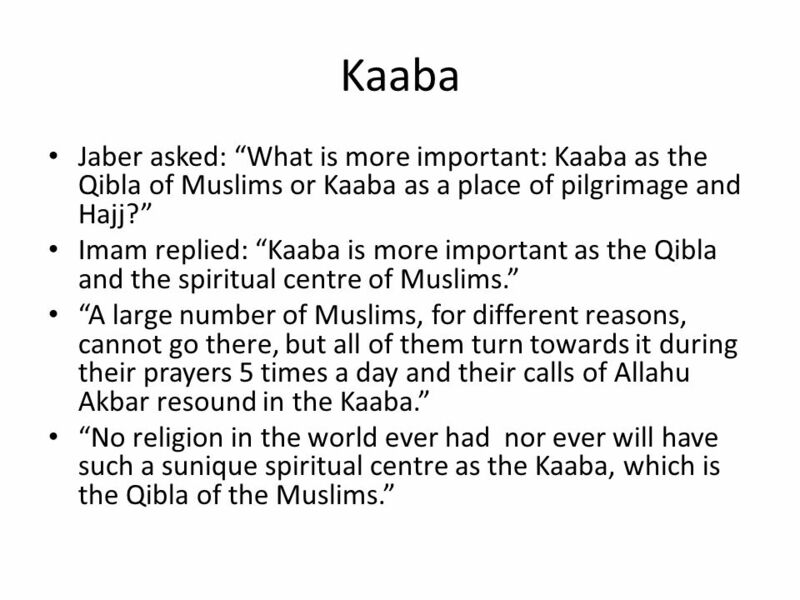 Theory of Germs Imam Jafar Sadiq (as) Reference: The Great Muslim Scientist and Philospher, Jafar As-Sadiq.